The rolling hills and grasslands of this 10,000-acre gem in Solano County are home to an amazing array of wild and native plants, animals and birds. Located in the triangle formed by Interstate 80, Interstate 680, and Lake Herman Road, the area also functions as an important buffer between the neighboring cities of Benicia, Fairfield and Vallejo. The cities and Solano County have worked in concert with Solano Land Trust to find ways to preserve and protect this open space by cooperation among the jurisdictions, cooperation with landowners and, where appropriate, land acquisition. Solano Open Space is home to coyotes, black-tailed deer, raccoons, bobcats, hawks, kestrels, falcons, western kingbirds, swallows, and grassland sparrows. Cattle graze in the valleys and meadows while hawks soar above the oak woodlands. 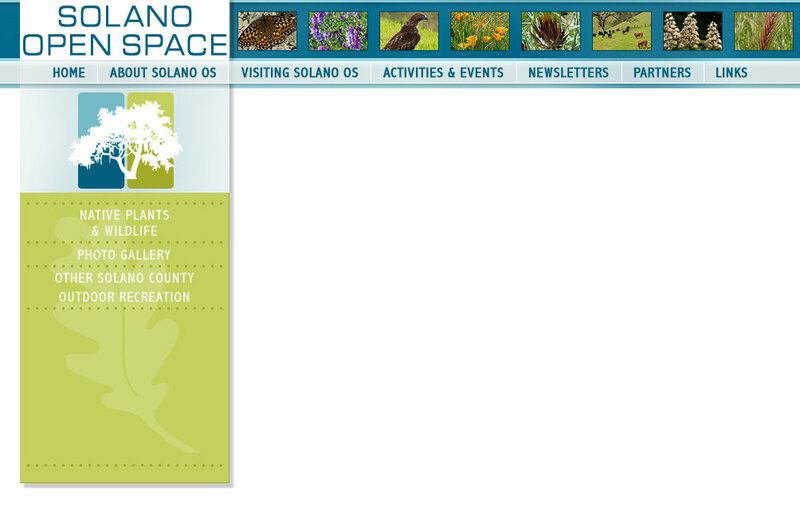 Click HERE to take a look at some Solano Open Space photos. In an effort to effectively plan for the 10,000 acres of open space land between their three communities, the Cities of Benicia, Fairfield, and Vallejo and the County of Solano entered into a Joint Powers Agreement (JPA) in May 1992. Their shared goal was to plan for, manage, and maintain the land for open space preservation, conservation and enhancement uses, agricultural production, and regional parkland recreation. The JPA created the Tri-City and County Cooperative Planning Group to be responsible for preparing, adopting, funding, and implementing a regional park and open space preservation plan. The JPA Governing Board is comprised of one elected official from each of the four member agencies. The JPA Governing Board with the Citizens Advisory Committee has continued to work with landowners, the Greater Vallejo Recreation District and the Solano Land Trust in implementing the plan. To date, the Solano Land Trust has acquired about 5,000 acres within the Solano Open Space area (Tri-City and County Cooperative Planning Area) for agriculture, conservation and recreational use. In 2010, the Planning Group launched an outreach effort to promote interest in this open space area. One of the first actions was to change the "Tri-City and County Cooperative Planning Area" name to a more straightforward "Solano Open Space." Additionally, the group made presentations to each government board involved, published an educational brochure, and launched this website. We continue to advance the preservation and enjoyment of open space within Solano County through a newsletter and information booths set up at area events.